Duncan Lacroix raised the stakes high when he decided to move to Ireland to pursue his dream of acting. The stake was probably too high, but it clearly been worth it. English theatre and television actor Duncan Lacroix is famous for his portrayal of character Murtagh Fraser in television series Outlander for which he is nominated in the Emmy Awards 2018. 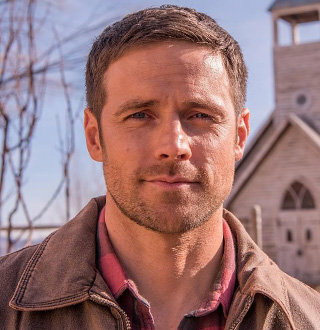 The actor who also played his parts in Sky Television’s Sci-fi series Primeval and RTE Television’s Cromwell in Ireland has been gaining fanbase over the previous few years. The actor is now busy with his role in the season 4 of the Outlanders. His character missed the previous season for the most part, but it is believed that he will have a bigger role and part in the upcoming season which is going to roll on to the TV screens soon. 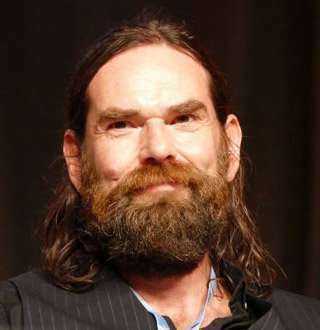 Duncan Lacroix, age 48, celebrates his birthday on 28 December. He was born in London, England, UK. Though born in the UK, the identity and nationality of his parents and his family are not known. The British actor, 6 feet 2 inches in height, has been living in Ireland for about 16 years now according to wikis, 10 of which he spent in Galway City and the rest in Dublin. He primarily moved to Ireland to pursue his dream of acting. Duncan Lacroix pursued his Bachelor's Degree in Drama and Theatre from Roehampton Institute in London and he holds a Master’s Degree in Drama and Theatre from The National University of Ireland Galway (NUIG). Duncan was struggling in small roles at the beginning of his acting journey. He made a cameo appearance in the Vikings and many people do not even remember him being there. He also appeared in theatrical roles in productions of Macbeth, Twelfth Night and The Merry Wives of Windsor. His career rocketed to great heights after he portrayed Murtagh Fitzgibbons Fraser, godfather and confidant to the main character Jamie Fraser. His character became so popular within the fan circle that he even has a hashtag on social media in his honor- #AlwaysTakeAMurtagh. The British actor has also acted in HBO’s Game of Thrones on its second season and has appeared few times in movies such as A Terrible Beauty and Reign. Is Duncan Lacroix Married? Is he Hiding Secret Partner? Duncan has gathered recognition from his small parts and very few television appearances. The actor enjoys the fame that he has garnered but what do we know about his wife and his married life? The British actor, age 48, has been private in matters of his relationship and has not spoken about any of his partners. He keeps thing under the radar but considering his middle-aged personality, it is highly likely that he has a family and a wife. Privacy of relationship status always comes with rumors of gay preferences, however, the actor’s privacy gives us no information about his whereabouts, so nothing can be concluded directly. Until and unless the bushy-bearded actor, comes up and provides answers, it seems his family life and sexual preferences will remain sketchy! Zendaya Age 22 Dating Status | What's Her Full Name & Who's The Boyfriend? Naomie Harris After Actor Boyfriend, Dating A Commoner Now? Nicole Kang Bio: Is She Married? Is She Dating? Find Out Here?